See Inside NYC's New Flood-Proof, Prefab Beach "Pods"
They might look more like Star Wars AT-ATs than bathrooms, but these new flood-proof, prefab beach buildings are causing quite a splash at several NYC beaches. 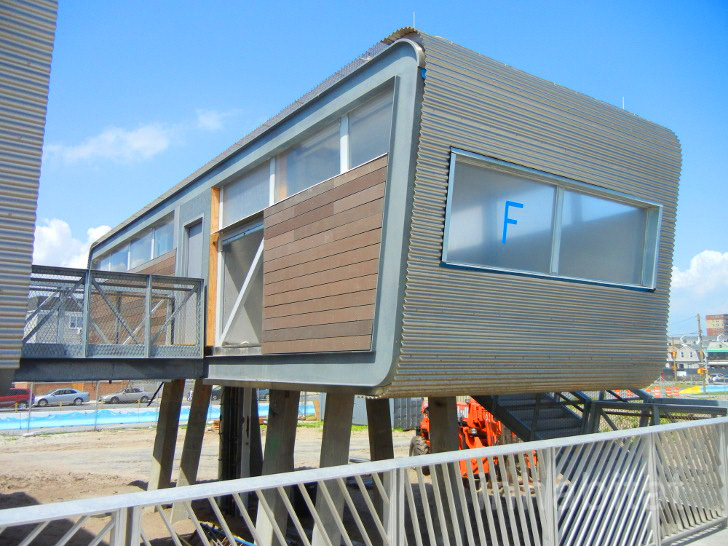 Garrison Architects designed and implemented the modular structures at beaches in the Rockaways, Coney Island and Staten Island, where bathrooms, lifeguard stations and offices were destroyed by Hurricane Sandy. Read on to take a tour of these solar-powered, naturally ventilated new units!